It’s been several days since Pokemon GO started their Winter Holiday event. One of the most exciting changes they made were the festive-hat-wearing Pikachu. First, they are absolutely adorable. Second, they’re spawning at higher rates. Third, they aren’t going to be around for long. However, any hat-wearing Pikachus will absolutely stay that way after the event. But that’s not all. We’re looking at you, buddy. 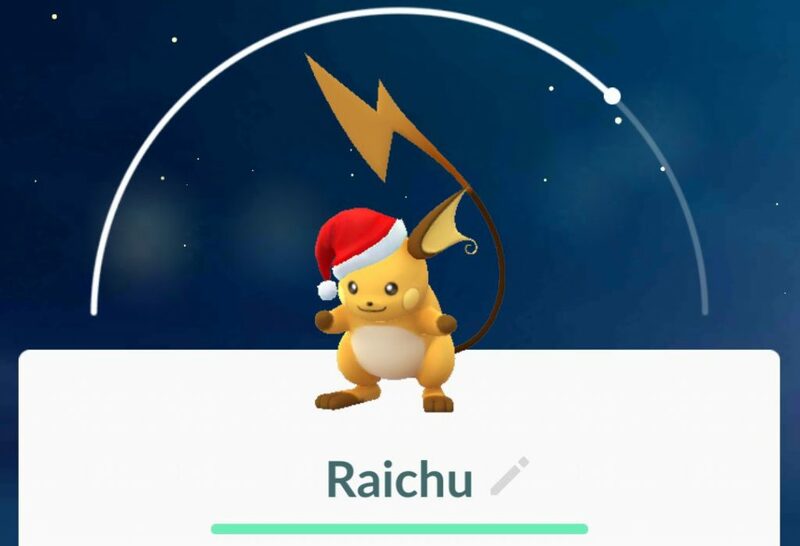 If you evolve any of your hat-wearing Pikachus, the resulting Raichu keeps the hat! That’s a pretty great surprise to say the least. Niantic Labs decided to wait until players posted pictures of the findings before confirming the news. I’m not sure who first took the gamble of evolving their Santa Pikachu, but my hat’s off to the player for sure. Pokemon GO December Update: Is This All There Is? It seems Pokemon GO has seen the update we've all been waiting for. Niantic Labs..